Gard Bags have long been a favorite among musicians at all levels needing quality protection at a reasonable price. The Mid-Bag Suspension series builds upon this popularity. In ordinary bags, the French horn rests on the bottom of the bag. If dropped, the protruding parts are likely to dent. Using strategically placed blocks of padding the Mid-Bag Suspension series "suspends" your horn away from the sides. Further stabilizing the instrument is a dense foam cone mounted to a hard disc on the inside of the bag. This suspension system reduces the risk of dings or dents if the bag knocks into a wall or is dropped from a short distance. 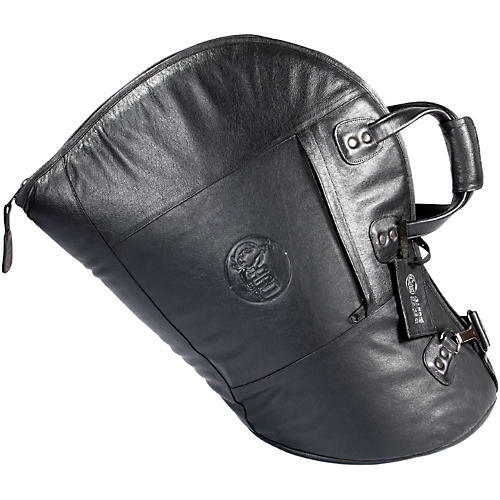 Like all Gard Bags, the Mid-Bag Suspension series features a water resistant nylon or buffalo leather exterior, rugged zippers, soft interior flap to protect the instrument from the zipper, and shoulder strap.